Hundreds of heroin overdose reversal kits will soon be on their way to St. Elizabeth Hospitals in Northern Kentucky. Governor Steve Beshear and Attorney General Jack Conway announced that the state will use $105,000 from its $32 million settlement with large national drug makers to make Narcan (Naloxone) available to St. E. in our area, as well as University of Kentucky Hospital in Lexington and University of Louisville Hospital. Narcan can reverse the effects of a heroin overdose if administered swiftly enough. Currently in Kentucky, EMTs have the legal authority to administer it but not police or firefighters who also often respond to overdose calls. 2,000 kits will be provided overall, several hundred of which will come to Northern Kentucky. "(Heroin) is killing our families and causing untold financial damage and that problem is getting worse," Beshear said during a news conference Tuesday. He urged lawmakers to pass anti-heroin legislation in the upcoming General Assembly session, something the body failed to do last year. "We don't have to wait in taking an important step, a life-saving step." Beshear also spoke to members of NKY Hates Heroin, a grassroots organization that works to draw attention to the needs of heroin abusers in the region. Members met early Tuesday morning in Latonia and loaded up two buses to take them to Frankfort. The governor addressed them in the rotunda of the State House. Conway, a Democrat who is running for governor and has been the face of these settlement dollars that also led to youth treatment centers in Covington and Florence, said that the Substance Abuse Advisory Committee which the governor create after the settlement and which Conway chairs, decided to allocate the funds to the hardest hit parts of Kentucky. "Unfortunately, heroin is on the rise in the Commonwealth. It's filling our jails, our courts, and our treatment centers, and it's killing Kentuckians," Conway said. 230 people in Kentucky died from heroin overdoses in 2013, a 200% increase over the previous year, the attorney general said. 2014's numbers were not yet available. "We anticipate that very well could go up." 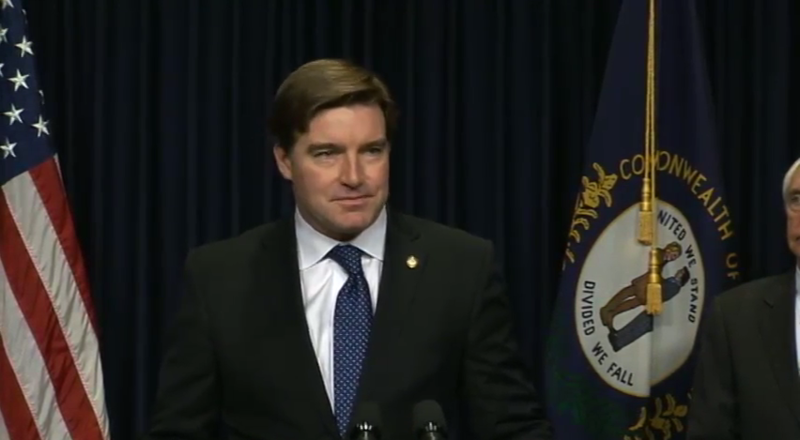 Conway also joined Beshear in calling for anti-heroin legislation. He called for stiffer penalties for large-scale traffickers, more treatment, a Good Samaritan Law that would allow heroin users to have immunity if they report overdoses, and to allow police and firefighters to administer Narcan. Much of that is covered in a bill supported by Northern Kentucky legislators, including State Senator Chris McDaniel (R-Taylor Mill) who is the running mate of Republican James Comer, the current Commissioner of Agriculture and candidate for governor. Conway said that the Narcan kits would be delivered to the mentioned hospitals right away. Those hospitals will contribute their own staff for training.